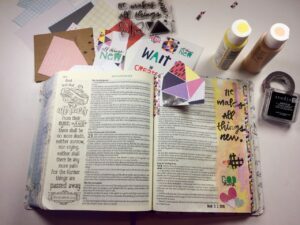 When I first discovered Bible journaling I just knew it was going to be my thing. 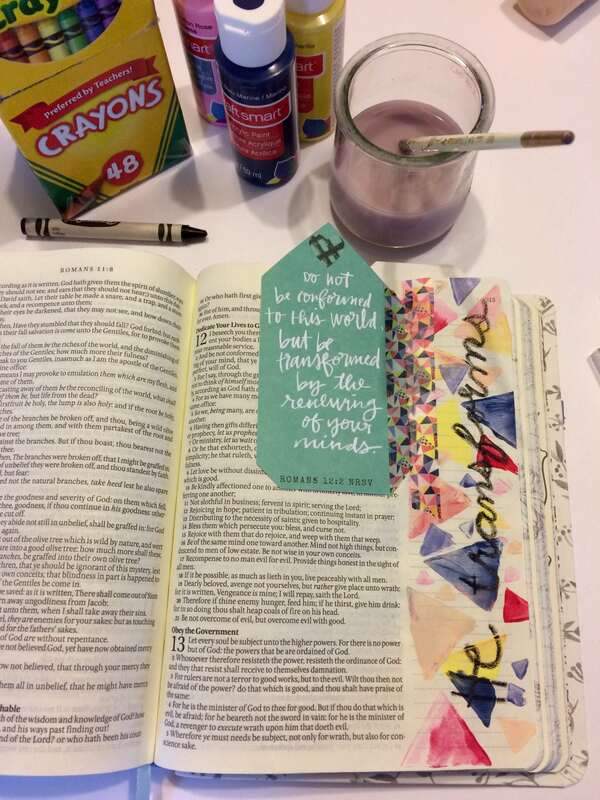 I always loved art and my Bible was already rainbowed with colored pencil highlighting. Beyond that, I had no clue where to begin. 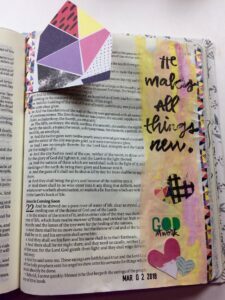 Illustrated Faith’s devotional kit “All Things New” is an excellent place to start your Bible journaling journey or to delve deeper into where God wants you to go. Take a look inside the new kit! Get the “All Things New Kit” here. “All Things New” — The perfect kit for starting off or starting new! 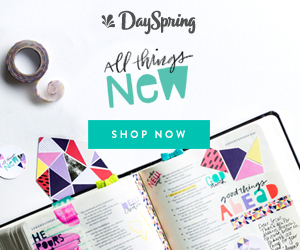 The “All Things New” devotional kit from Illustrated Faith contains everything a new Bible journaler needs for at least 8 pages of God’s top hits. The verses featured in this kit are long-time favorites. Been Bible journaling for a while — Shanna’s devotions offer fresh perspective on these verses that will have you re-discovering them as if for the first time. Not only great verses, but this kit is also full of fun designs and bright colors. I’d love to tell you my favorite part of this kit, but I can’t decide between the clever stamp design, the colorful geometric washi, or the bright stickers. Grab your “All Things New” devotional kit from Illustrated Faith and and hold on tight for the transformation that God has planned for you! God is ready to do this work in you. Are you ready? Let Illustrated Faith’s devotional kit “All Things New” help you on this journey. Please don’t forget that we are here for you too. 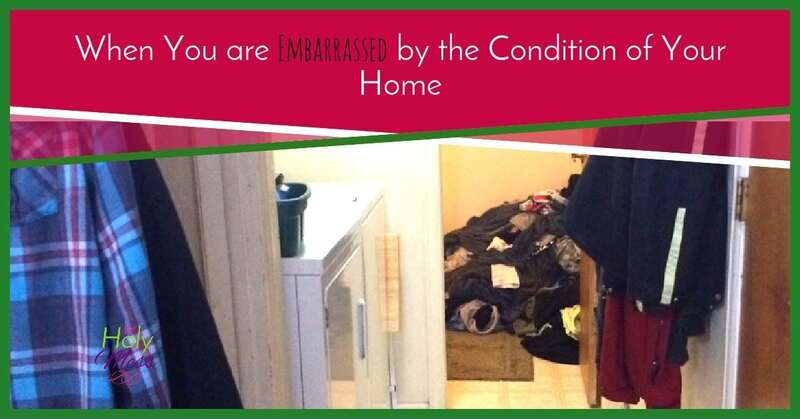 Visit The Holy Mess facebook group to share your praises, page and questions. 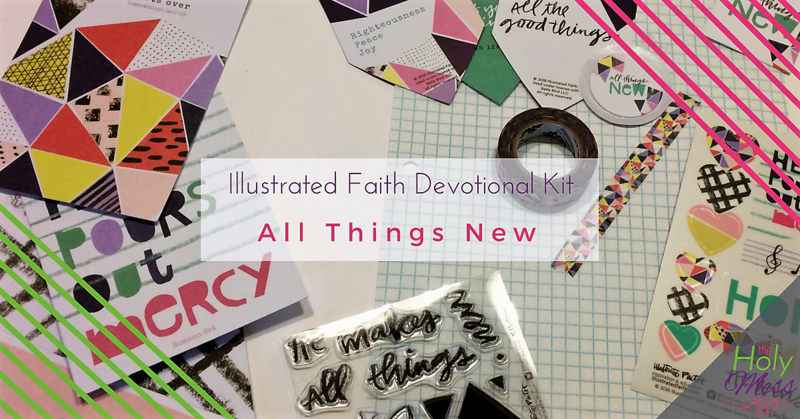 Get your Illustrated Faith “All Things New” kit now. What is your favorite verse to journal? Share with us in the comments below.